The Dickies Davant Safety Boot now featuring a revised SRC rated sole unit which wraps around the toe to help prevent scuffs in this high wear area. 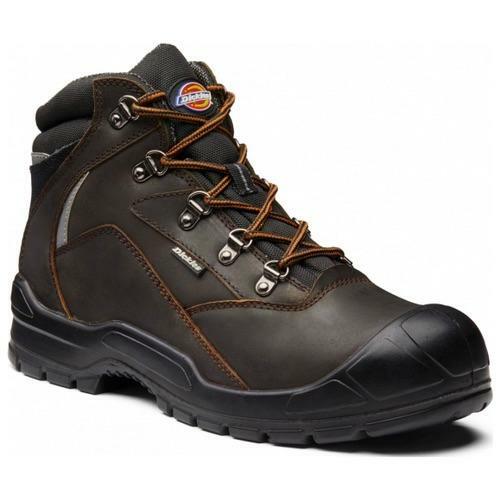 Protection is provided with steel in the toe-caps and midsoles for underfoot protection. The uppers are water resistant leather, with a breathable textile lining.